At a cabinet meeting held on March 19, the Japanese government approved a bill for partially revising the Worker Dispatch Law. The bill had been drafted on the basis of a report submitted on February 24 by the Labor Policy Deliberative Council, a tripartite advisory body to the minister of health, labor and welfare consisting of representatives of labor, management, and the public interest. The bill will be presented to the current ordinary session of the Diet for its approval. Appraising the bill, RENGO General Secretary Hiroyuki NAGUMO said that it aims for a shift from the deregulation and structural reform policy that has been followed since the inception of the law to a policy of worker protection. He commented that RENGO positively accepts the bill as a definite step toward realizing the kind of worker dispatch law that RENGO has been calling for. The main points of the revisions are as follows: (1) problematic registration-type dispatches will be prohibited in principle, except for highly specialized jobs like language interpretation; (2) dispatches to manufacturing industries will be banned in principle, except for regular-type long-term employment; (3) day-work dispatches and dispatches shorter than two months will be banned in principle; and (4) in the case of illegal dispatch, the user company or other user organization will be obliged to offer an employment contract to the dispatched worker. 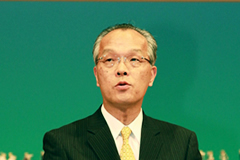 Just before the cabinet decision, an amendment to the bill was made to delete text lifting a ban against “action aimed at specifying a worker who will be employed on an open-ended basis, the so-called advance interview.” In this connection, General Secretary NAGUMO said that RENGO had insisted for a long time that the report submitted by the Labor Policy Deliberative Council, which had fully discussed the contents in the light of the actual situation in workplaces and had reached an agreement among the tripartite representatives of labor, management, and the public interest, should be respected. In this sense, he argued, the amendment to the bill was contrary to what RENGO had intended. General Secretary NAGUMO said he was concerned that a problem had been raised concerning the status of deliberations in the Labor Policy Deliberative Council in the government’s policy formulation process. He added, however, that passage of the bill by the Diet must be hurried in order to promote the protection of workers and the security of employment. The previous government had submitted a bill for revising the Worker Dispatch Law to an extraordinary session of the Diet in 2008, but unfortunately that bill was abandoned. General Secretary NAGUMO stressed that such an outcome must not be repeated. Due to the easy dismissal of dispatch workers that has been seen in many workplaces over the last few years, the worker dispatch system has become an issue of public concern. Now that a change of government has been realized, General Secretary NAGUMO said, the system should be changed to one that protects workers. He expressed RENGO’s firm determination to continue efforts toward the early passage of the bill and at the same time to make the contents of the bill universally known so as to ensure the thorough protection of workers. Copyright(C) JILAF All Rights Reserved. Copyright (C) 2013 JILAF All Rights Reserved.